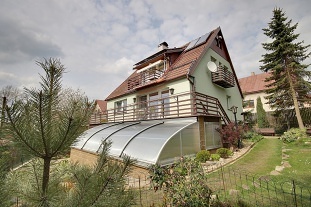 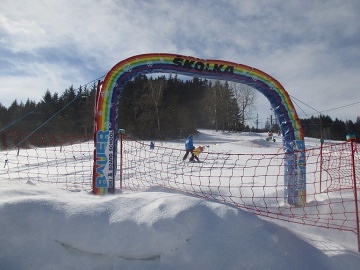 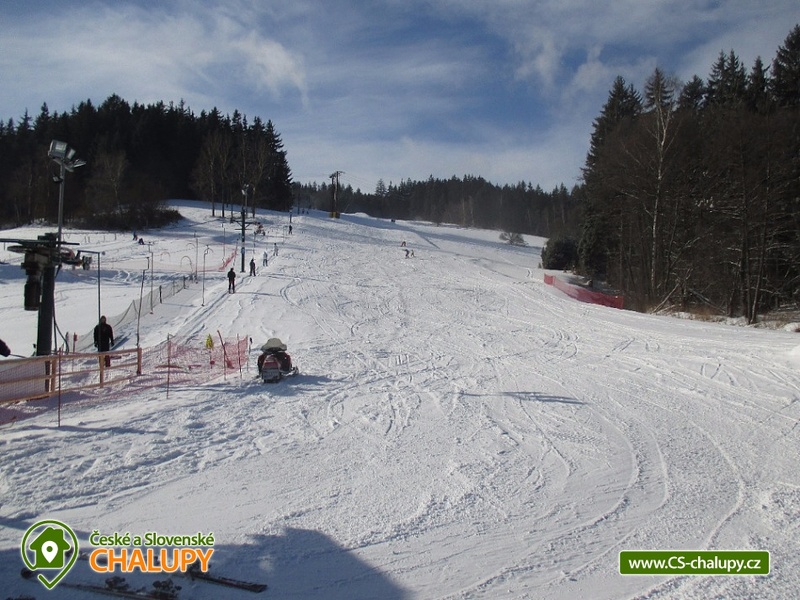 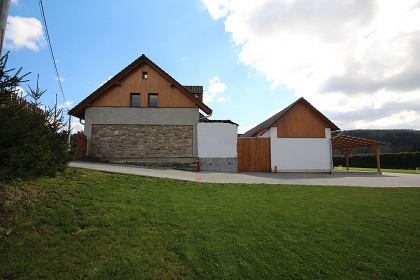 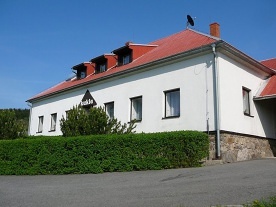 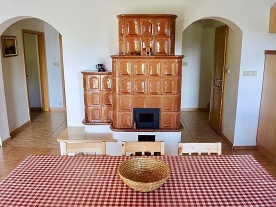 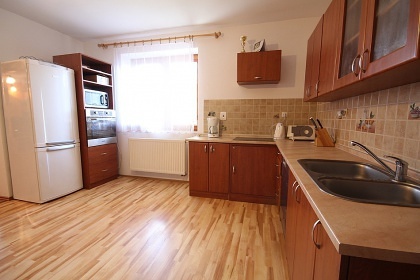 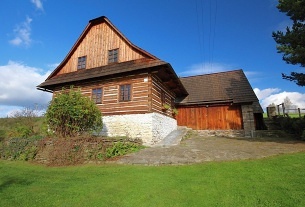 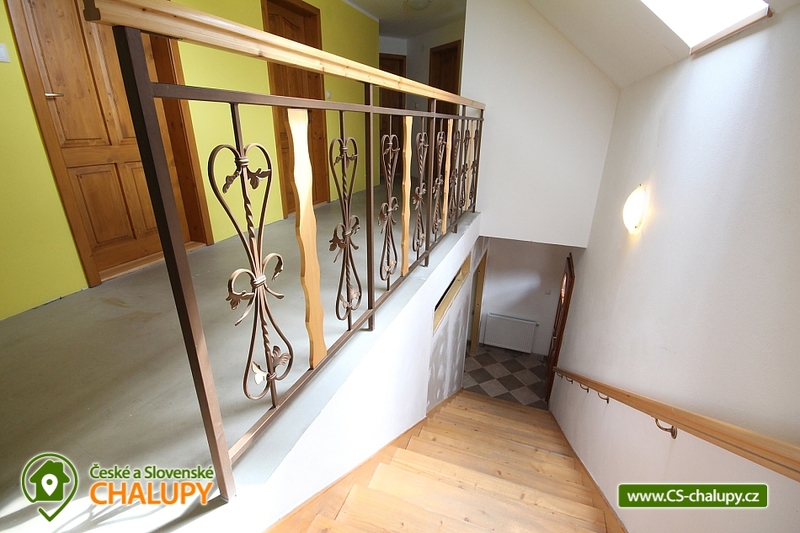 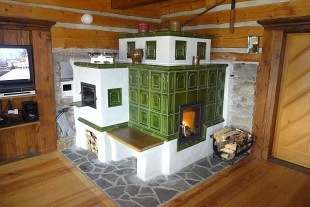 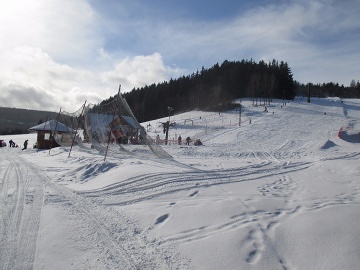 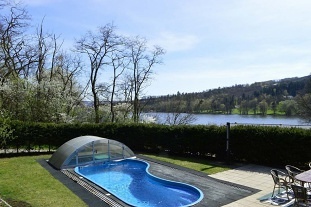 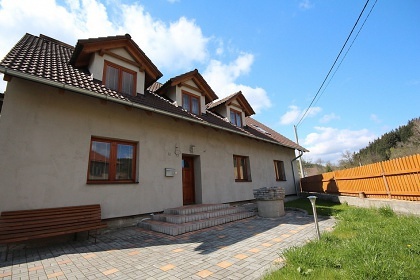 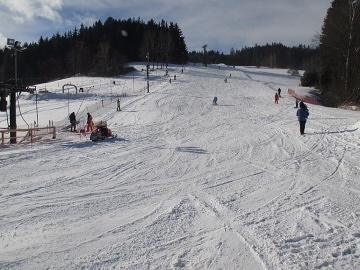 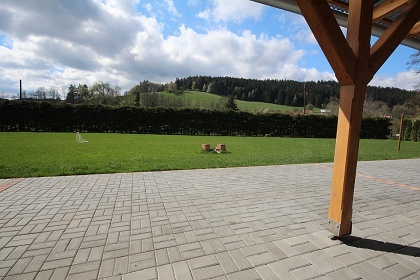 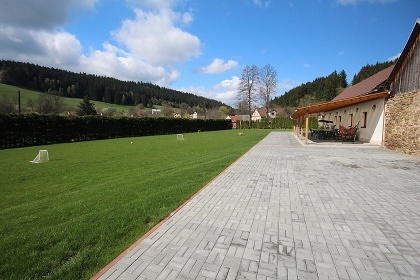 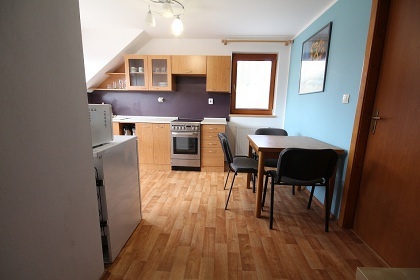 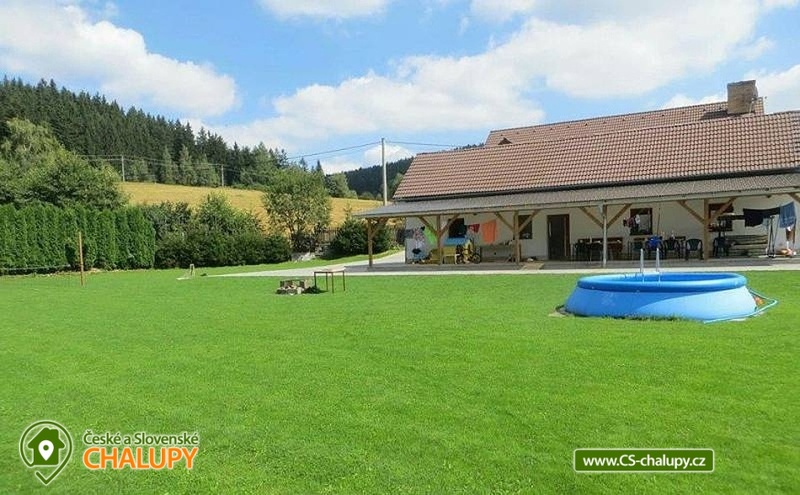 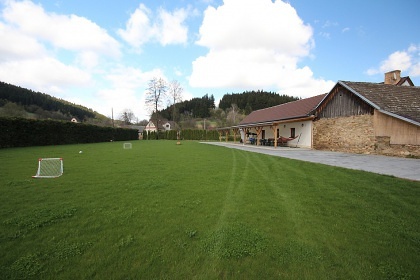 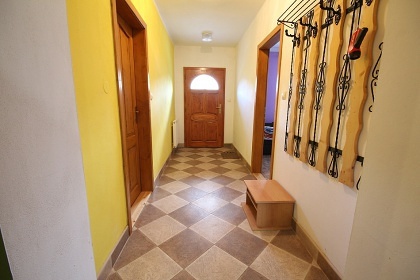 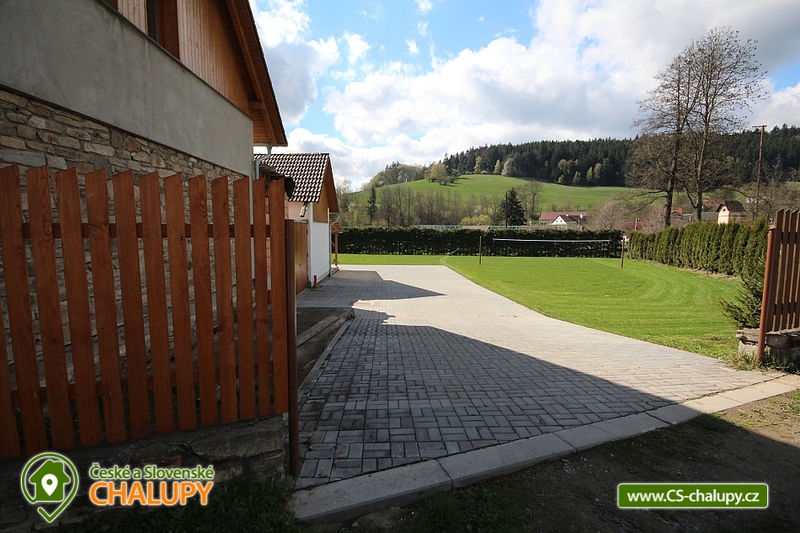 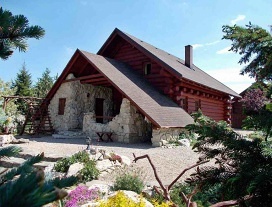 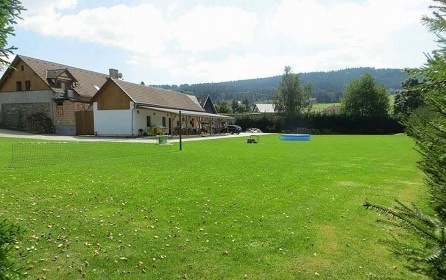 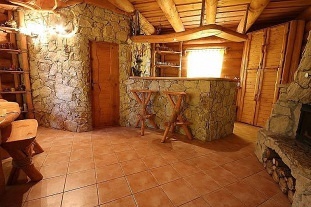 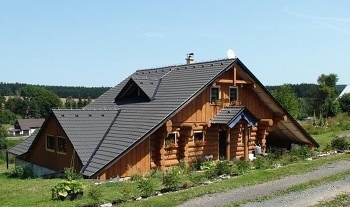 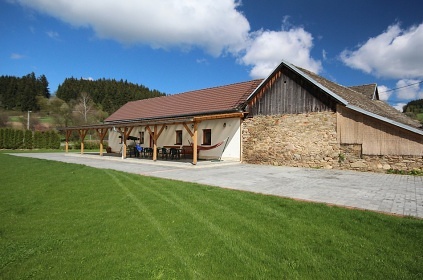 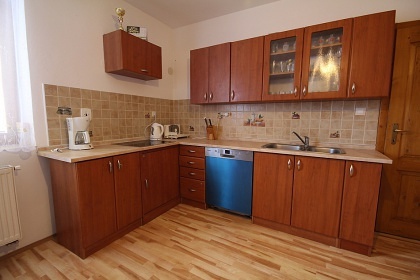 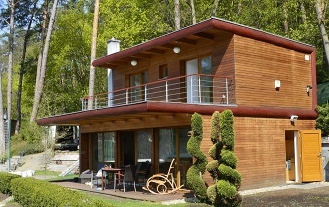 Holiday cottage rental cottage Statek Kotlan - Hodonin u Kunstat. 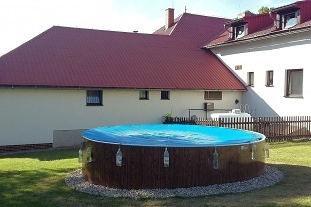 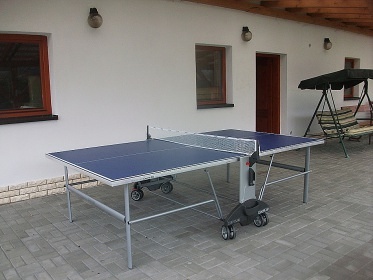 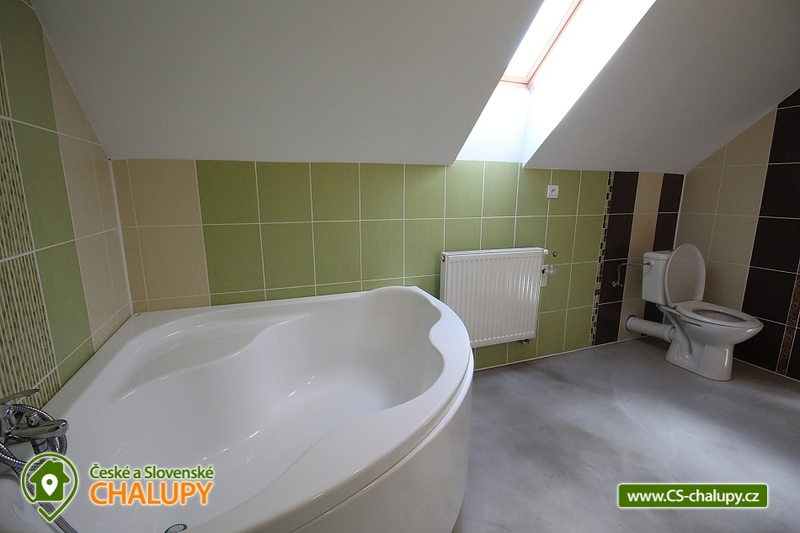 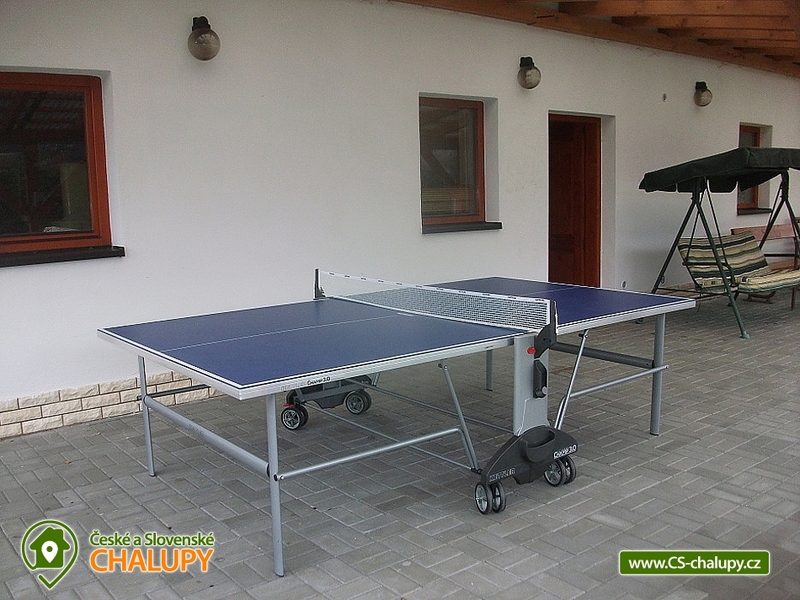 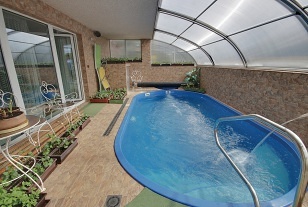 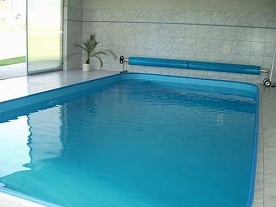 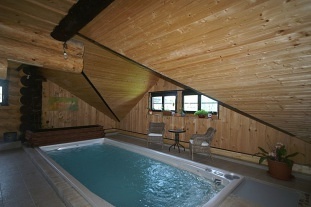 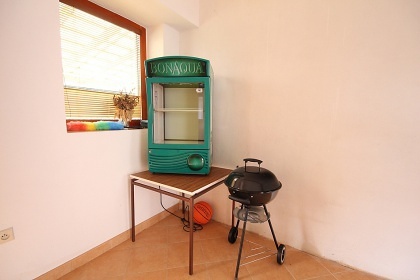 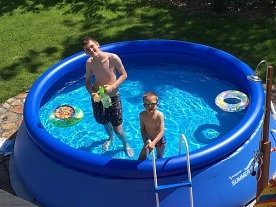 Cottage with pool for rent - South Moravia. 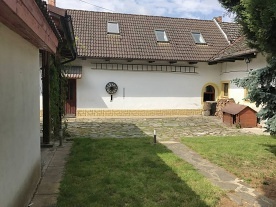 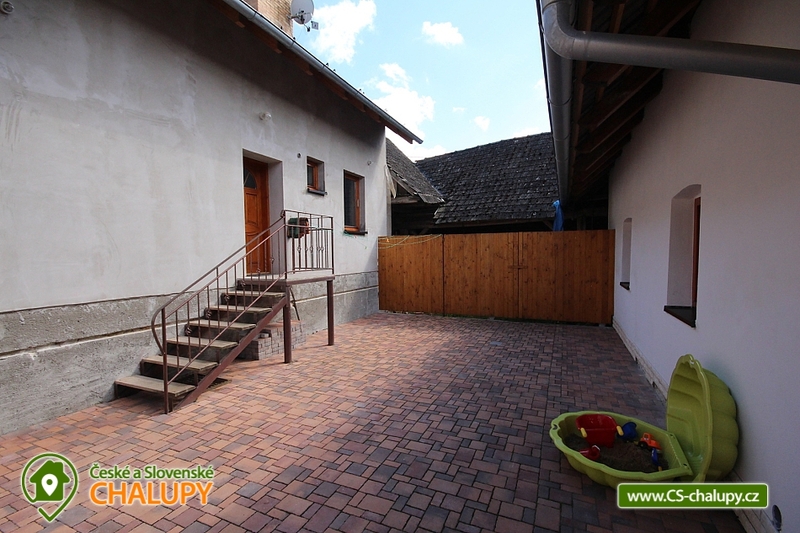 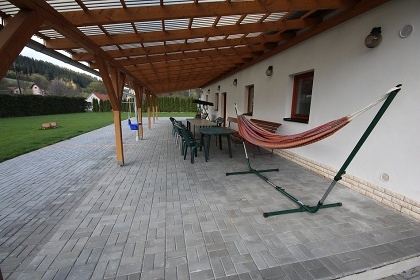 Accommodation South Moravia - Comfortable spacious cottage with swimming pool (original farm) consists of the main building (accommodation), the enclosed courtyard and the second lower building (summer lounge). 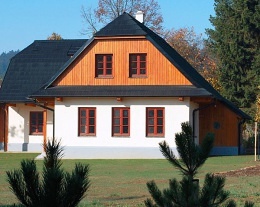 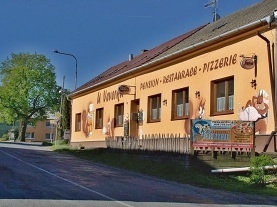 The building after complete reconstruction is located in the village of Hodonin, district of Blansko. 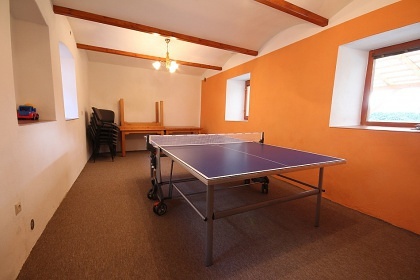 On the ground floor there is a fully equipped kitchen (induction glass ceramic hob, built-in dishwasher and oven, microwave, fridge, coffee maker, electric kettle, electric chopper), followed by a large lounge with seating, TV, table football and electronic darts. On the ground floor there is a large 2-bedded bedroom (double bed) with the possibility of a baby cot or an extra bed. 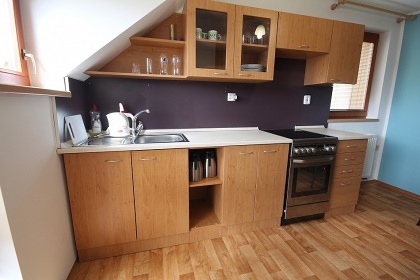 Upstairs there is a second kitchen, a dining table and a total of 4 bedrooms: 2x 2-bed (double bed), 1x 4-bed (double bed and bunk bed) and 1x 3-bed (double bed and single bed) with 2 extra beds. 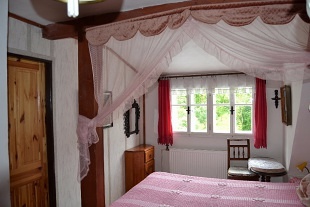 There are 3 additional beds that are freely movable (mattresses). 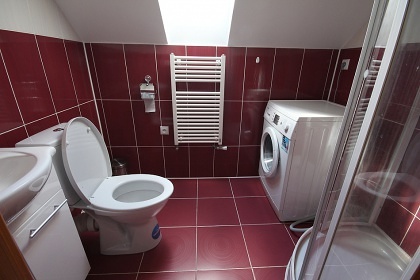 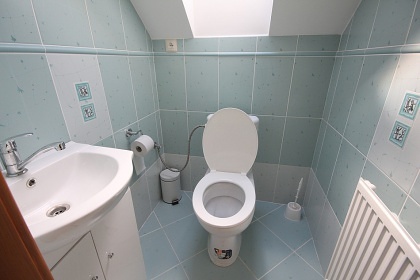 The sanitary facility includes 3x bathroom (2x bathroom with corner bath and shower, 1x bathroom with shower) and 4x toilet, washing machine available. 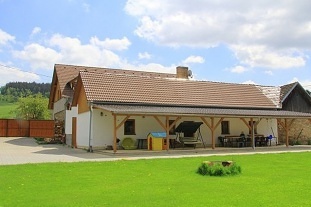 The cottage is a closed yard, adjacent to a separate building, which is used as a summer lounge with sitting (this room is without heating), a spacious fenced plot: an overground circular pool (diameter 3.6 m, depth 0.9 m), table Tennis hearth, garden furniture, hammock, grass pitch and games (petanque, badminton). 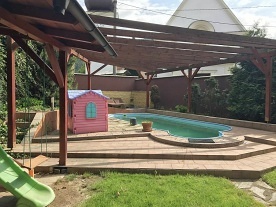 For children swing, sandpit, trampoline with protective net (diameter 305 cm). Parking directly by the house on fenced plot. 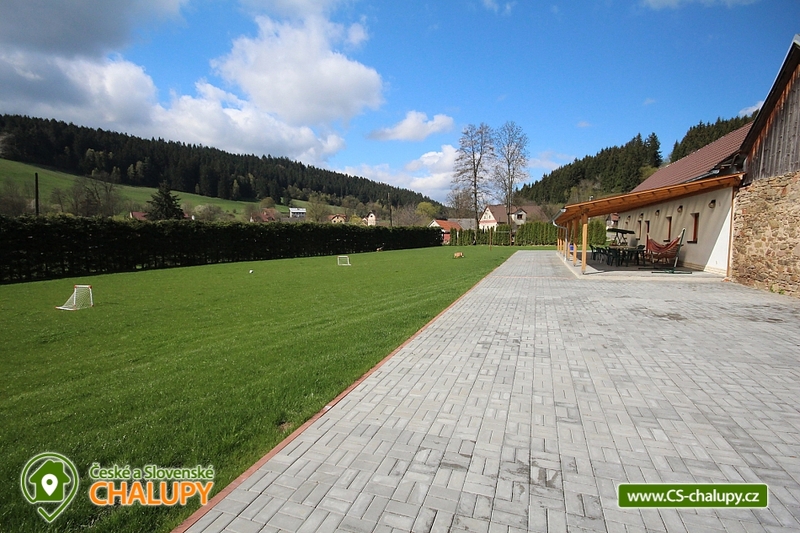 At a distance of 100 m from the property there is a multipurpose playground with artificial lawn suitable for tennis, volleyball, football and basketball, if you can rent this course on site. 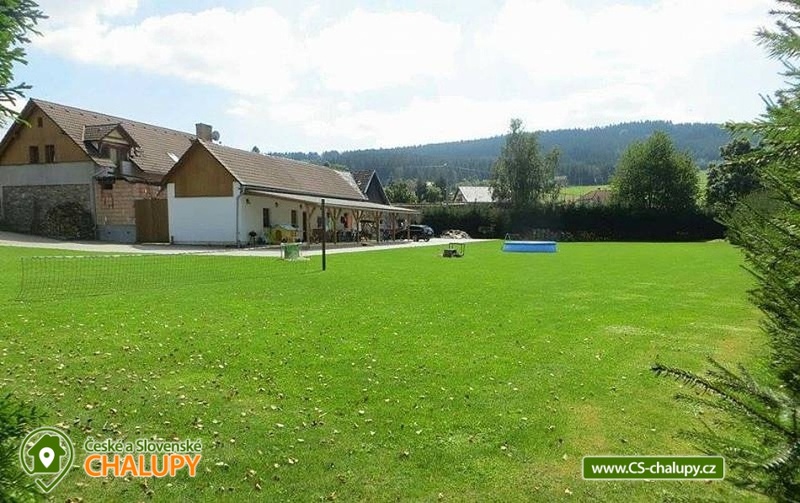 The attractive complex with a swimming pool and a grassy playground offers privacy and is rented as a whole to a group of clients. 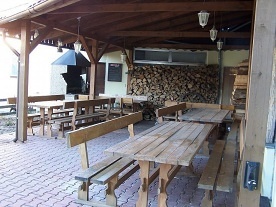 Additional information Víkendy květen, červen, svátky a Velikonoce 11990 Kč. 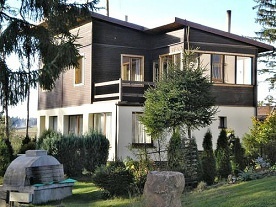 Mimosezóna 3990 Kč/objekt/noc. 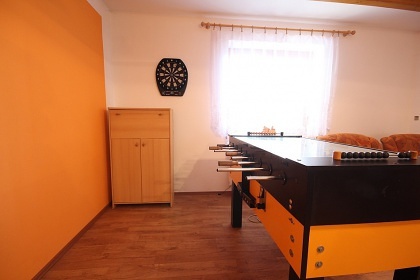 Minimální platba 2 noci. 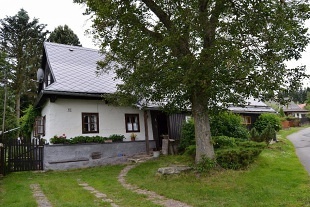 Additional information Úhrada plynu dle skutečné spotřeby. Plyn se platí pouze v případě využití plynového kotle, objekt je možno vytápět dřevem zdarma. 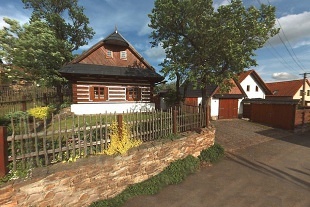 Lůžkoviny poskytovány v ceně pobytu.